"Life will always knock you down. Learn to roll with the punches and get back up. Then go again." Catrina Barton is a real go-getter, who in 2006 turned her avid reading addiction since three, into a vigorous passion for writing. Especially New Adult Romances. Drawing on her knowledge as a Kung-Fu Instructor she makes her fight scenes both realistic and action packed. When not indulging her fertile imagination to craft stories for your reading pleasures she enjoys hiking with her family and amateur belly dancing. Proud member of many writing and marketing groups. An active participant at Critique Circle and several other crit groups. 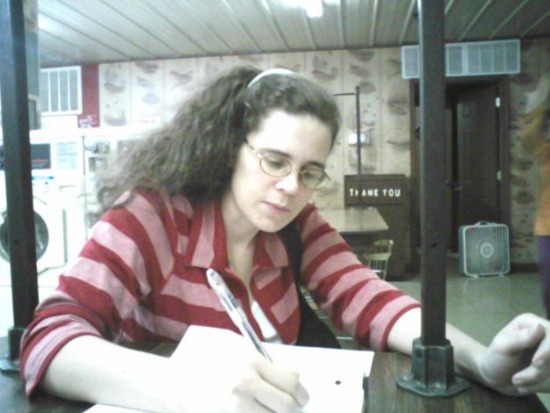 Her love of writing and her family rival her exhilaration from helping fellow writers. That's why she created her blog: Kitty's Inner Thoughts. "An author cannot grow without both constructive criticism and encouragement." Seventeen year old Kaitlin Sinclair's world comes crashing down when her father is killed while deployed overseas and she's forced to move to Indonesia to live with an uncle she never knew existed. Enter Cadmon Quinn, newly appointed leader of his clan of tiger Shifters known as the Caspians, who struggles with guilt over his twin sister's murder, while trying to overcome his fear of leadership duties and lead his people. In order to avoid being mistaken as the prophesied destroyer of the Caspians spirited Kaitlin dives head first into an adventure full of mystique and dangers everywhere she turns. Along the way she is forced to confront deep seeded anger over her parents' secrets and her private demons. She soon discovers that keeping her heart safe might prove as impossible as staying alive!